… without checkboxing Salty Dog Cafe!!! Was too good a day not to go for a ride!! 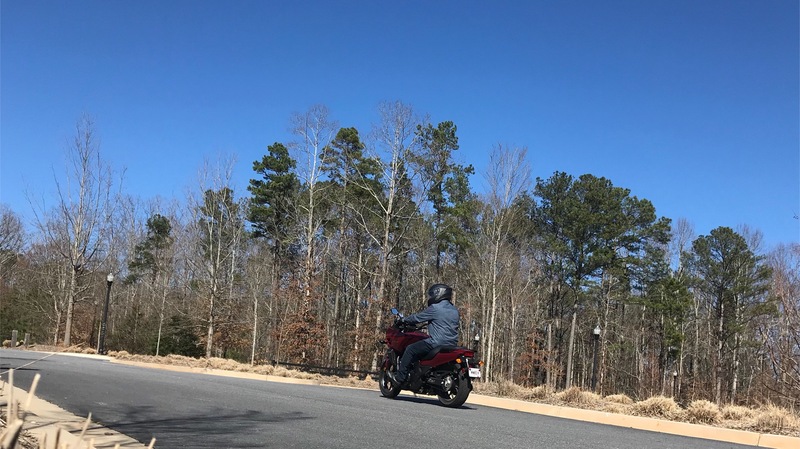 Category: Biking | 11 Comments on Was too good a day not to go for a ride!! “You have lived as a citizen in a great city. 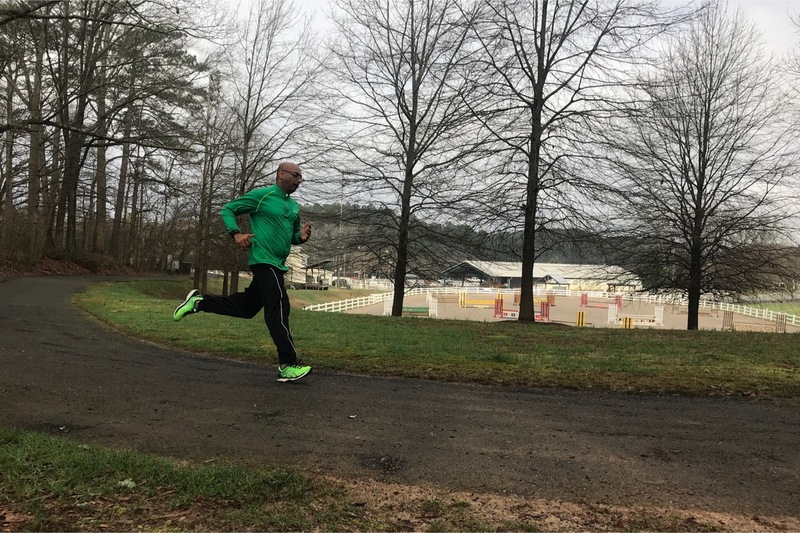 Five years or a hundred – what’s the difference? The laws make no distinction. Death is the final act in our play of life. No need to fear it. You know it’s coming. Just make sure you act the hell out of your role while you’re here. Category: Musings | 1 Comment on Memento Mori! 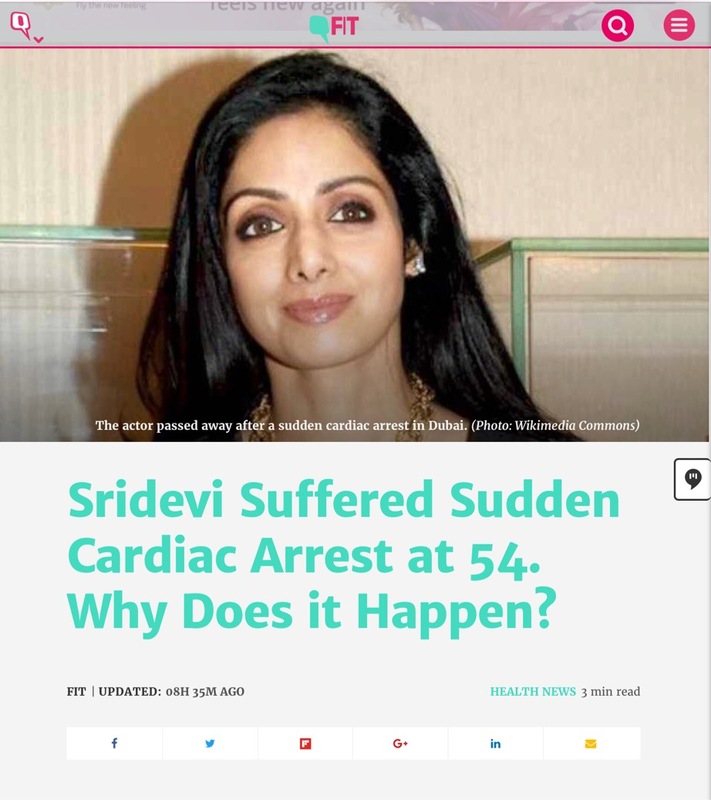 Legendary movie actress from India – Sridevi had an untimely demise. While I am not into movies, even I knew of her. Certainly she was famous enough that news of her demise made it to the New York Times. But apart from the sadness of such a young life lost, I have a pet peeve. Why do news channels report that “so and so died of a sudden cardiac arrest”. ? What do you mean “sudden” cardiac arrest? Since when have cardiac arrests been taking appointments? Aren’t all cardiac arrest sudden? What is the origin of such use? I guess I can claim to be a “pro” now! What started as an innocuous goal “Learn how to mix drinks” during one of the off years, soon became a passion. Most of my learning has been old style – I read up a lot of books and I experimented a lot. And bugged a lot of bartenders at bars to learn some of their unique tricks. 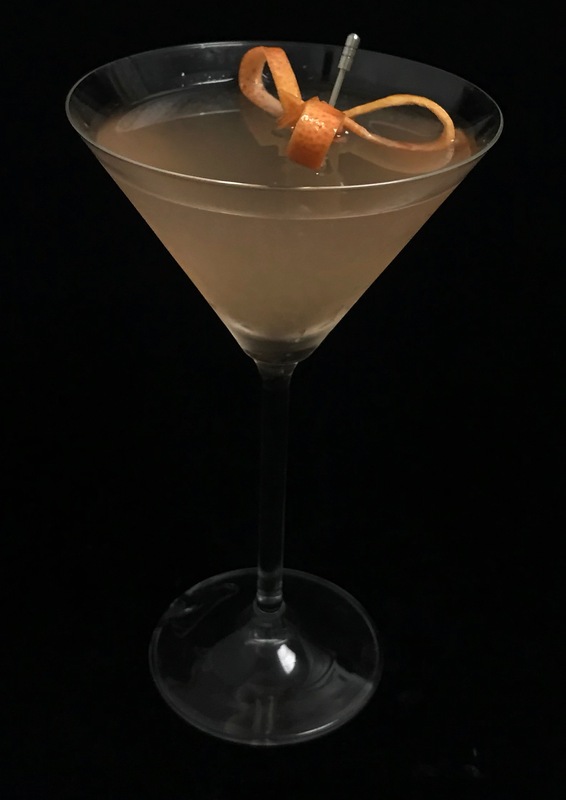 Over the last four years, I have probably made 500+ different cocktails, visited multiple distilleries and collected some esoteric stuff from different countries to experiment with. While I have bartended in a few informal events and a couple of corporate events, today was the first time I had a paid gig. Of course, I do this as a hobby. So all money – inclusive of tips was donated to the hostess’s favorite charity. 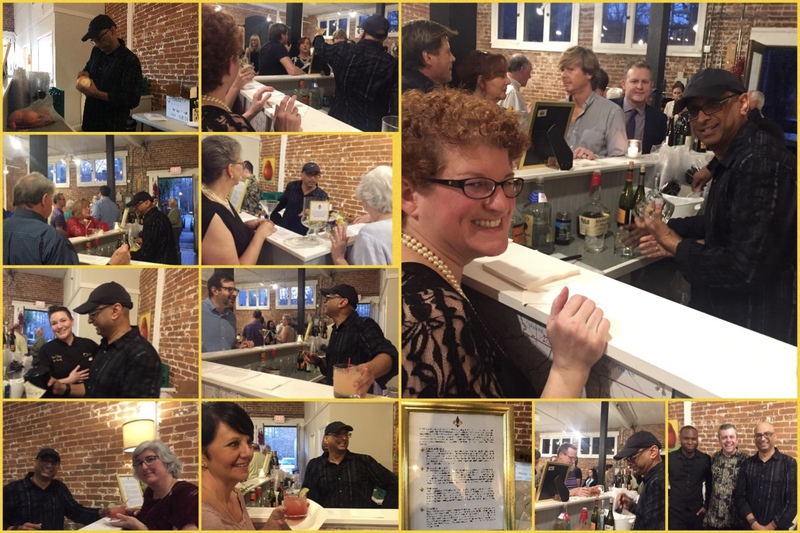 Thank you Tim and Nanette for featuring me as the mixologist at your private event. I loved the venue. And I loved the guests. 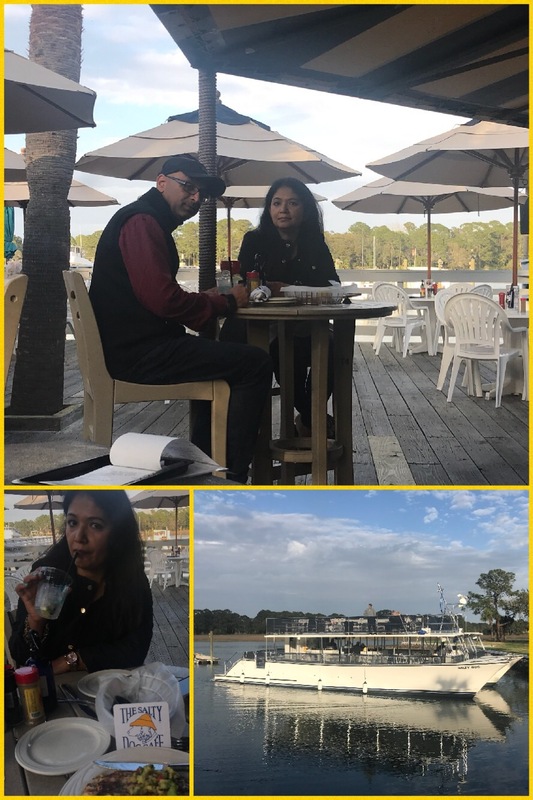 Sharmila and I really had a great time. None of this would have been possible without Tim’s meticulous planning, Tanya working with us to set everything to the last bit of detail and an immense amount of help I got from Telvin. It was Nanette’s birthday. 50th one in fact. It was a lot of fun to research what was America like in 1968 and what were the common drinks being served at New York bars. Eventually, I went with Bourbon Sidecar, Harvey Wallbanger, Seabreeze and Pegu Club. As always in such events, some guests have different tastes leading to some on the spot improvisations – there were a few Cosmopolitans, a couple of Old Fashioneds and a Cape Codder too! Category: Cocktails | 2 Comments on I guess I can claim to be a “pro” now! 3 Howls gin, freshly squeezed grapefruit juice, fresh lemon juice, yellow chartreuse and superfine sugar. Very tasty and refreshing. The fresh grapefruit juice makes a big difference!! Many an engineering college day for me started with a “Babumoshai!” shout from this gentleman. That or “Oy! Bangali Babu!!”. Invariably, the previous night I would have scribbled “Wake me up at 7 AM” or something like that (yes, those days we used to punch on computer cards!) and stuck it on my door. The ever vigilant Madhav would see that card and come around to my room from the other side of the hostel to wake me up. In those four years, I had become very close to Madhav and another common friend called Rangarajan. Since Madhav and I were both in Computer Science, we became even closer as we took similar courses and used to exchange notes. In a melee of college kids’ unbridled enthusiasm (and some of that admittedly misdirected), Madhav was the voice of sanity and reason. I remember him distinctly for his integrity and his incredible patience! Both of which made him a very popular person in the hostel. Many an evening, I would swing by his room to realize that he was sitting at his desk by the window with that table lamp he had on – trying to study. “Trying” is the operative word here because invariably there were three or four more random guys in his room sitting in his cot and yelling away to glory!!! Rarely did I ever see Madhav kick them away! Madhav (and Rangarajan) had visited me in Durgapur – way back in December 1986. My folks back home became great fans of both of them. In fact, my mom and sister even to this day will ask about “Rongorajon” and “Madhob” and their whereabouts. (that is how Bengalis would pronounce their names 🙂 ). Somewhere in our third year or so, our interests in computer science started diverging. Madhav veered towards research and he was very talented at those things (you know those books with a lot of Greek letters in them). He had the rare distinction in those days of having published a couple of papers while still doing his undergraduate degree. Thanks to a summer job I had done a few years back, I grew more attracted towards actual application of computer science in the business / corporate world. Madhav came to the US and continued in his path of research. I stayed back in India and joined a company to write applications for financial institutions. As luck would have it, eventually, the same company moved me to US. 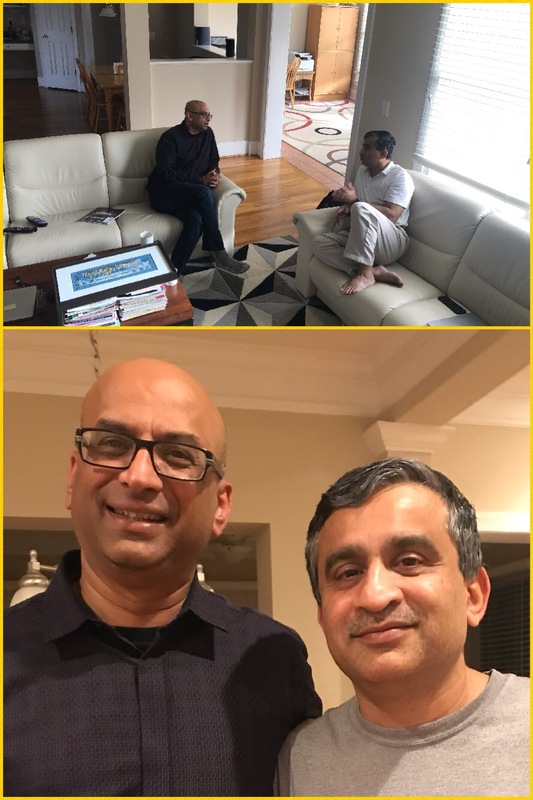 The next time I saw Madhav was in Dallas when he had come over to our place in the context of some professional pursuit. My wife Sharmila’s everlasting memory of Madhav was how thrilled he was with all the features and gizmos of a new mini van he had. (I think it was a rental but I am not sure). Over the last two decades, he went on to become a very successful professor in the field of Computer Science and eventually became (and still is) the Director of a prestigious Lab in Virginia Tech. And I went on to become, well, regrettably, me !!! Taking advantage of the time off, I drove thru a few states and up to Blacksburg last week to spend some quality time with this great buddy of mine from over three decades back. We had four hours just to ourselves before his beautiful wife Achla and then his daughter Malvika joined us along with some other VT folks. You can see us in the top picture what we did in those four hours. Some intense reflections. 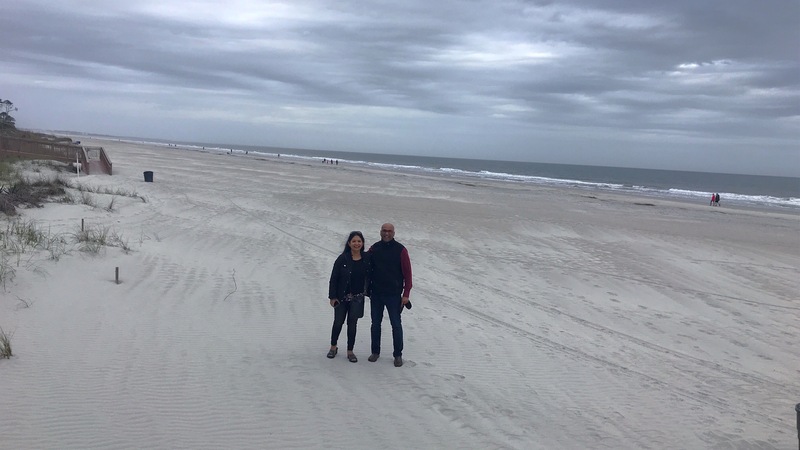 I was mesmerized to hear Madhav’s take on what he learnt and did not learn from the IIT system (our engineering college) in India and how that contrasts with the American system – especially in the area of research. There were some intense discussions on what happiness meant. Now that we are old enough not to get swayed by the stuff we were force fed – “get big jobs”, “earn more money” etc etc, we parsed what eventually made us (and our classmates) happy and how that vastly varied from what we were pushed to do in earlier stages of life. I was struck by Madhav’s capability to introspect and independently come to conclusions. Maybe that is what do research makes you good at? Category: Intersection Points | 2 Comments on “Babumoshai”!!! If you are going to kiss your wife goodbye before you go out on a motorbike ride, you are always well advised to kiss her before you wear the helmet; not after!